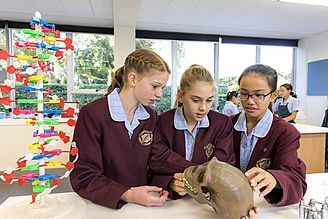 The School ranks among the top educational performers in NSW, promoting a rigorous and challenging curriculum for Junior and Senior girls; including global initiatives like the IB Primary Years Program for Kindergarten to Year 6, and the prestigious Cambridge Courses for Years 9 -10 – culminating in the HSC examinations. The value of a Roseville College education is evinced by student testimonies of personal best achievements and is demonstrated by consistently strong results in NAPLAN, educational testing and competitions, and consistently strong HSC outcomes. Roseville College is proud to be an authorised IB Primary Years Programme (PYP) school; IB PYP is the realisation of a vision to develop internationally minded students, who can collaborate together to create a more peaceful world. The process of Inquiry in all subject areas enables the girls to ask questions, be curious, investigate and develop a rich and deep understanding of the world and its people, together with an awareness of how they can respond to the concepts that are shared. The College follows the NSW Education Standards Authority (NESA) syllabus documents for all Key Learning Areas. These are incorporated within a transdisciplinary teaching framework, ensuring the girls develop the required understandings, skills values and attitudes expected at each stage of their learning. Quality instruction through an explicit and rigorous English and Mathematics program lays the foundation for learning across the key learning areas. Student agency and individualised learning are key elements of our teaching programs. Specialists collaborate with classroom teachers to integrate their specialist area to deliver a range of learning experiences within Sport and PE, Music, Visual Arts (3–6), Mandarin (K–6) and French (5–6). Information Technology and STEM based activities are woven throughout learning to develop computational and engineering skills. A dedicated Junior Librarian helps to encourage a love of literature in each girl. 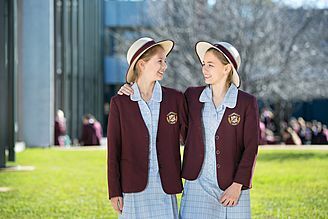 Junior girls are supported academically by the Learning Enrichment Team who provide integrated, small group support that meets the varied academic needs within the context of the classroom environment. The co-curricular program is dynamic and varied, catering for the interests and talents of our Junior girls. The program is constantly evolving to allow student agency to steer the options on offer. 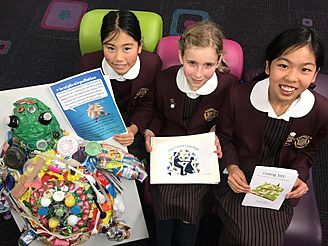 The Junior School Leadership Program enables every girl in Year 6 to grow her leadership skills as she undertakes her role in one of the many leadership areas including: The Kindergarten Buddy Program, Social Action Group, Media and Technology Crews, Library Innovators, Cru Leadership, House Leadership or the Junior School Student Leadership Team. 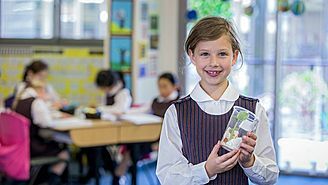 Throughout the year as Units of Inquiry develop, community members are encouraged to become actively involved in learning across the Junior School. Regular information sessions on a variety of topics are provided to parents, who are active, integral members of our school community.